What to do in D.C. when a heatwave hits the city. WASHINGTON -- Summer in D.C. is the most beautiful time of year, but sometimes the hot sun gets to be too much. 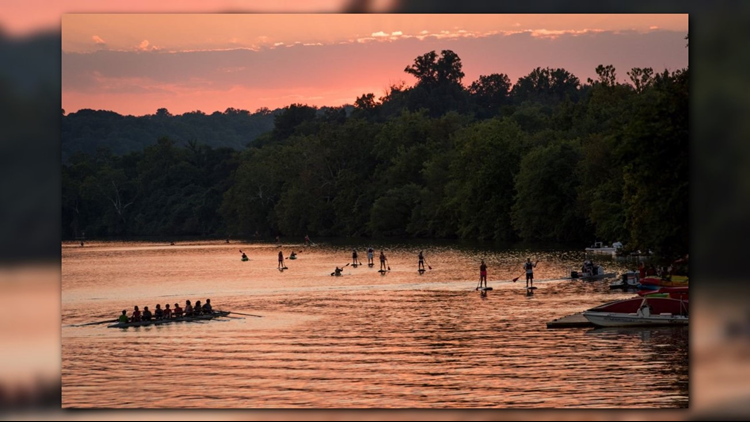 The Georgetown Waterfront offers a variety of fun activities to do, including restaurants, paddle boarding, and a foundation. Kids, or even adults, can run through the water to beat the heat when temperatures soar. Whether you live in DC or just visiting, going to a Smithsonian Museum is a must. Its indoor rooms will keep you cool from the heat, while you look at all the different types of exhibits. The best part? They're all free to visit! Go to the National Museum of African American History and Culture to learn about the contributions of African-Americans in American history. Or go to The Renwick Gallery where visitors can watch its light exhibit projected on the ceiling. Summer is the perfect time to visit the Botanic Gardens to see the variety of flowers and rare and endangered plants. It has indoor gardens and galleries in their Conservatory to check out when hiding from the sweltering heat. The markets offer great places to head indoors for a meal, to shop, or to rest. The Union market has more than 40 vendors and other events during the week. The Eastern Market on 7th street, S.E. is a farmer's market that contains several restaurants and stores to explore too. Easily accessible on the Blue, Orange, and Silver metro lines, the market is a key part of a DC experience. Feeling adventurous? The escape room located in Georgetown on M street offers an exciting and fun game experience that gives you 60 minutes to search for clues and solve puzzles to escape the room. And it's open 7 days a week. Love museums? But the Smithsonians aren't your thing? Instead, try the National Geographic building that hosts cool exhibits and exclusive events. It just opened a new exhibit on the untold story of the Titanic and displays images and artifacts from the ocean liner. You can spend hours here! Opened in 1984, this famous local D.C. bookstore on Connecticut Ave. provides a wide variety of books and author events. It also has a café on the first floor of the building called "Modern Times." It's a great place to sit, relax, and catch up on some reading.